Kick off your visit on the 3rd (Mon): stroll around Roma Street Parkland and then let little ones run wild at South Bank Parklands. Here are some ideas for day two: identify plant and animal life at Lone Pine Koala Sanctuary, then get great views at Mount Coot-tha Lookout, and then get in on the family fun at Wheel of Brisbane. 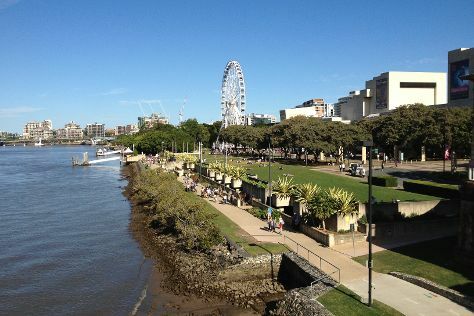 Make your Brisbane itinerary with Inspirock to find out what to see and where to go. If you are flying in from United Kingdom, the closest major airports are Brisbane International Airport and Gold Coast Airport. In June, daytime highs in Brisbane are 24°C, while nighttime lows are 13°C. Finish your sightseeing early on the 4th (Tue) so you can travel to Cairns. Get out of town with these interesting Cairns side-trips: Port Douglas (Scuba & Snorkeling, Safaris, & more) and Palm Cove (Hartley's Crocodile Adventures, Spas, & more). Spend the 10th (Mon) wandering through the wild on a nature and wildlife tour. And it doesn't end there: trek along Esplanade Boardwalk, see the world from above with a helicopter tour, have fun at Esplanade Lagoon Pool, and pause for some serene contemplation at St Monica's Cathedral. For more things to do, photos, maps, and tourist information, refer to the Cairns journey website . You can fly from Brisbane to Cairns in 5.5 hours. Other options are to do a combination of bus and flight; or drive. Traveling from Brisbane in June, things will get a bit warmer in Cairns: highs are around 30°C and lows about 22°C. 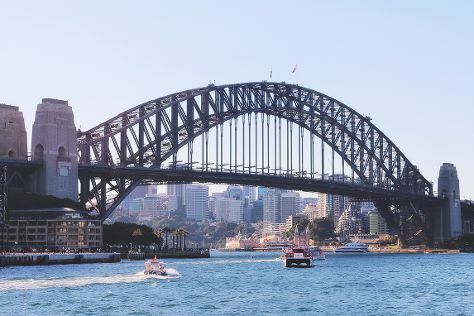 Finish your sightseeing early on the 12th (Wed) so you can travel to Sydney. Sydney is known for nightlife, trails, beaches, parks, and museums. Your plan includes some of its best attractions: snap pictures at Sydney Harbour Bridge, hike along The Opera House to the Botanic Gardens Walk, take a stroll through Darling Harbour, and admire nature's wide array of creatures at Sea Life Sydney Aquarium. To find maps, more things to do, and other tourist information, go to the Sydney vacation builder tool . You can fly from Cairns to Sydney in 6 hours. Other options are to drive; or take a train. Traveling from Cairns in June, expect Sydney to be slightly colder, temps between 21°C and 11°C. Cap off your sightseeing on the 17th (Mon) early enough to travel back home.